Many Democratic 2020 candidates have endorsed the "Green New Deal." What's actually in the Green New Deal, the sweeping proposal to address climate change put forward by Democrats -- including the brash new progressive, Rep. Alexandria Ocasio-Cortez, and the veteran environmental advocate, Sen. Ed Markey? The ideas, blasted by conservative commentators as calling for an end to air travel and meat-based diets, have also drawn widespread support from Democrats running for president, including Sens. Cory Booker, Elizabeth Warren, Kirsten Gillibrand and Amy Klobuchar. President Donald Trump, who's questioned whether climate change exists or is man-made, and congressional Republicans, dismiss the idea as unrealistic and say they would severely hurt the U.S. economy. And while the Green New Deal is undeniably aspirational, most environmental policy experts caution the proposal is in its early stages. At this point, it's been written only as a resolution, or a vague description of an idea, and not in the form of legislation ready to be signed into law. But the Green New Deal has also sparked a fresh conversation about what policies are needed to address climate change in the U.S., and what possible solutions Americans want to see signed into law. 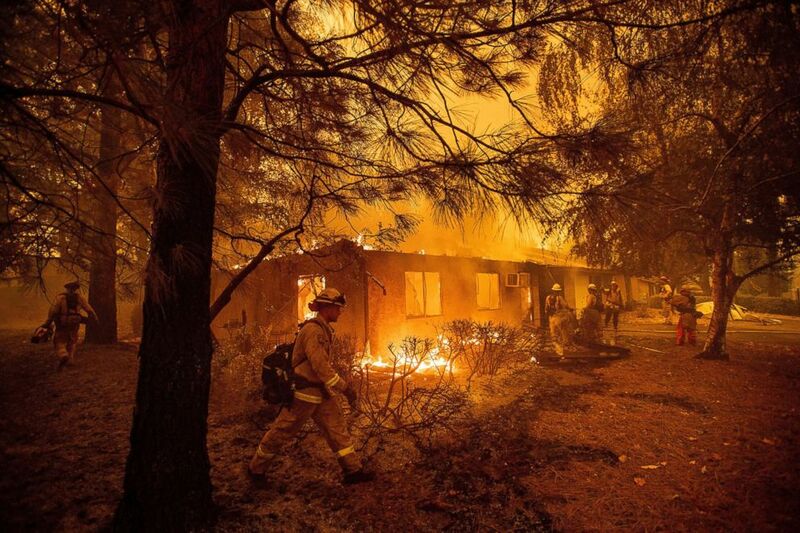 Ultimately, the Green New Deal focuses on the alarming findings of recent climate change reports -- increasing numbers of natural disasters like wildfires, droughts and floods all because of rising levels of greenhouse gases; mass migration expected from affected regions; more than $500 billion in lost output by 2100 -- and suggests dramatic solutions, such as bringing carbon emissions all the way down to net-zero. The resolution also calls for 100 percent of U.S. energy demand to be "clean, renewable and zero-emission" and for an overhaul of transportation systems nationwide. High-speed rail, for example, would overtake airplane travel. It calls to upgrade "all existing buildings in the United States" and ensure all new buildings achieve "maximal energy efficiency." And it guarantees a job for everyone in the country -- one that would include family-supporting wage, paid leave, paid vacations and retirement security. Ultimately, in the same way former President Franklin D. Roosevelt's 1933 New Deal used a series of sweeping policies to boost the economy and provide jobs after the Great Depression, the Green New Deal aims to solve climate change by focusing on facets like workforce training, racial inequality, education and structural efficiency. "They're making the point that all of these different items on the agenda are related," said Dana Dolan, a public policy professor at George Mason University in Virginia. It's not "throwing groceries in a bag," Dolan said, but "baking it all together in a way that enhances one another." That being said -- the deal has been called everything from "aspirational" by advocates, to "impossible" by critics. That's one reason that Dolan, who researches the policy process that occurs in climate change legislation success stories, suspected the actual bill "will be radically different" from the initial language. "I can't emphasize enough there's a long pathway between this sweeping proposal and specific legislation that would enact any of these programs," said Megan Mullin, a professor of environmental politics at Duke University, in acknowledging the difficulties of evaluating the bill. 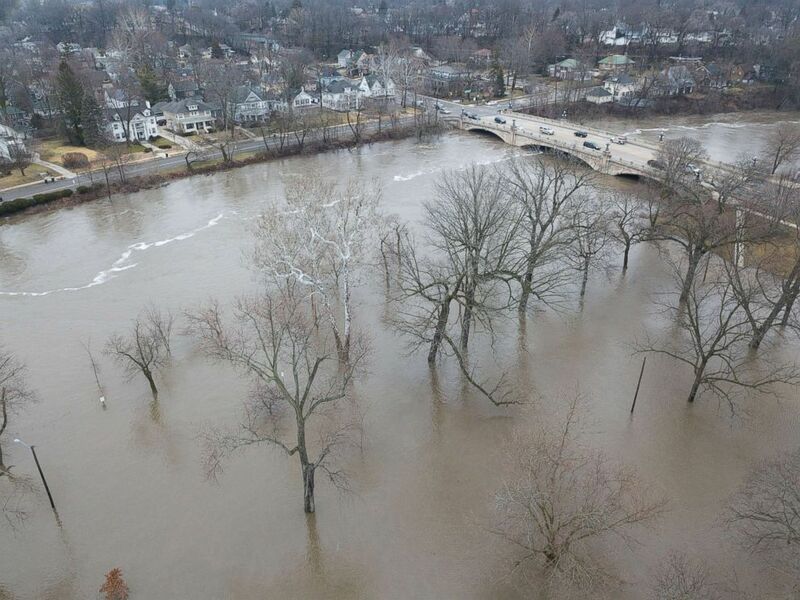 (Santiago Flores/South Bend Tribune via AP) In this drone image, the St. Joseph River has overflowed its banks and has flooded Leeper Park, Feb. 21, 2018, in South Bend, Ind. Crews are using boats to help northern Indiana residents amid flooding from melting snow and heavy rain moving across the Midwest. "Can this be achieved politically in 10 years at the scope its laid out right now? I think it's unlikely," Mullin said, echoing Dolan and other colleagues across the country who spoke to ABC News. "But I think the main takeaway is I see the Green New Deal as trying to change the conversation." Perhaps the heftiest of the goals is for the U.S., which currently produces oil and gas in over 30 states, to have zero carbon emissions by 2030. The challenges behind achieving that goal are compounded by fossil fuel dependence in the U.S., a country where 78 percent of the energy was supplied by oil, natural gas and coal in 2016, according to a report for the U.S. Department of Energy prepared by the Energy Information Administration. "I wouldn't rule it out, but I think the likelihood of that happening is pretty low," said Barry Rabe, an environmental policy and political science professor at the University of Michigan, on bringing carbon emissions down to net-zero by 2030. "If you rephrase it as could the U.S. move substantially toward carbon neutrality, yes." At the point it was introduced, that the resolution was a lofty set of very broad goals was no secret. During the unveiling of the resolution on Capitol Hill, Ocasio-Cortez called it just a "first step" in defining both the problem and the "scope of the solution." The road to something more workable will include policymakers deciding what government agencies would administer it, for example, or what the consequences would be for industries that would be markedly downsized. And the biggest question: where would the money come from? "You can't even throw a number at how much will this cost because it's a vision, it's not real legislation," Mullin said. "And to put a number on it assumes a level of specifics that aren't there -- and shouldn't be there at this stage." Barry Rabe, an environmental policy and political science professor at the University of Michigan, speculated the deal would need "a massive funding source" to be produced initially and sustained for a period of time, potentially for the 10 years outlined in the resolution, he said. But Rabe agreed there aren't enough details yet to estimate a dollar amount. "Until we know what the mechanism would be, you can speculate but it's really almost impossible to put a price tag" on the deal, Rabe said.